Alright so this is kind of a nerdy thing but when I was working on improving my site's speed performance. 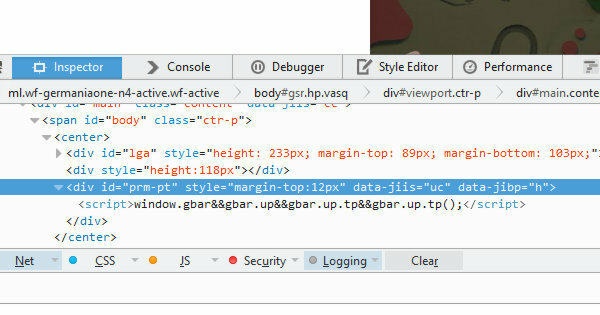 I went on Google.com to check out their HTML page source to learn from their web practices. To my surprise, I noticed the <center> html tag was being used to center the Google Logo and search tools. This HTML tag is not supported in HTML5 and is a deprecated HTML tag. Every web developer discourages its use and scream "use CSS instead!" I hold Google to the highest standards and it was shocking to see that. I am in no way criticizing Google at all, I just kind of find it funny. I am sure there is a strong reason why the Google engineers decided to use that tag. People say duct tape is an engineers best tool so I guess HTML tags used for semantic value is the duct tape for web developers. Maybe Google found it more convenient and ethical to use, you know the mind of a web developer is unpredictable. I'm sure there is a logical reason behind it all as what research paper writing service mentioned. It is truly complex as Google's algorithm keeps on changing from time to time, therefore, it is no wonder why their site is equally complex as well. A trust essays on Google's performance have stated about their semantic that it is not really complex but up to date only.